Walk for fun and fitness! Walking is a great low-impact activity for improving fitness. You can walk almost anywhere, anytime. Your only expense is a good pair of shoes, and comfortable, visible clothing. Walking is associated with reduced risk of heart attack and development of type two diabetes. Other benefits include increased energy, stress reduction and weight control. 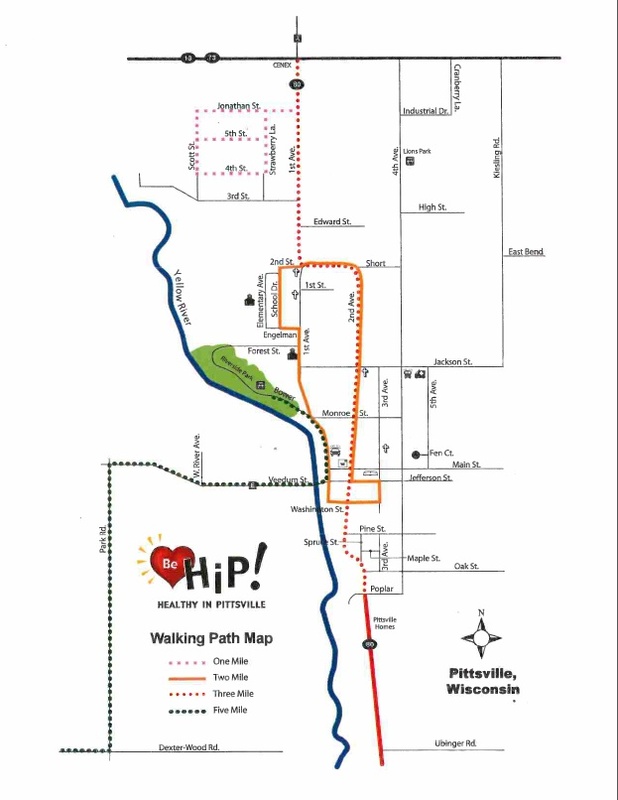 If you anwer yes to any of the questions, please check with your healthcare provider before starting a walking program. Do you have heart trouble? Do you experience chest pains, pain on your left side, neck, shoulder or arm, or shortness of breath when you are physically active? Do you have bone or joint pain? Are you over 50 and have not been physically active? The Strawberry Mile - actually a figure eight. Park on Jonathan near St. Joachim's cemetery and begin figure eight in any manner you choose. This is a quiet residential neighboorhood with minimal traffic. The Down Towner - park at the Community Library on Third Avenue. Most of this path is on the sidewalk, some on low-traffic streets. Use extra caution near the Wood County Highway Shop. The Up and Back - start anywhere along the route and walk from one end of town to the other and back. The entire path is on the sidewalk. The Heart and Soul - the original route for the Pittsville Fire Department annual walk/run on July 3. The entire route is on the roadway. Start at the Riverside Park near the playground equipment. Use caution on County E/Veedum Street. Wildlife may be visible on Park Road. Turn and go west at Park Road and Dexter-Wood Road. 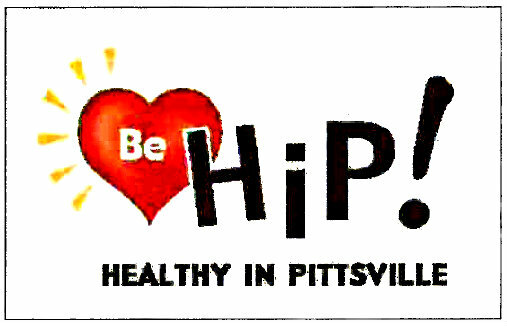 Look for the be HIP! signs to indicate the turn around Dexter-Wood Road.